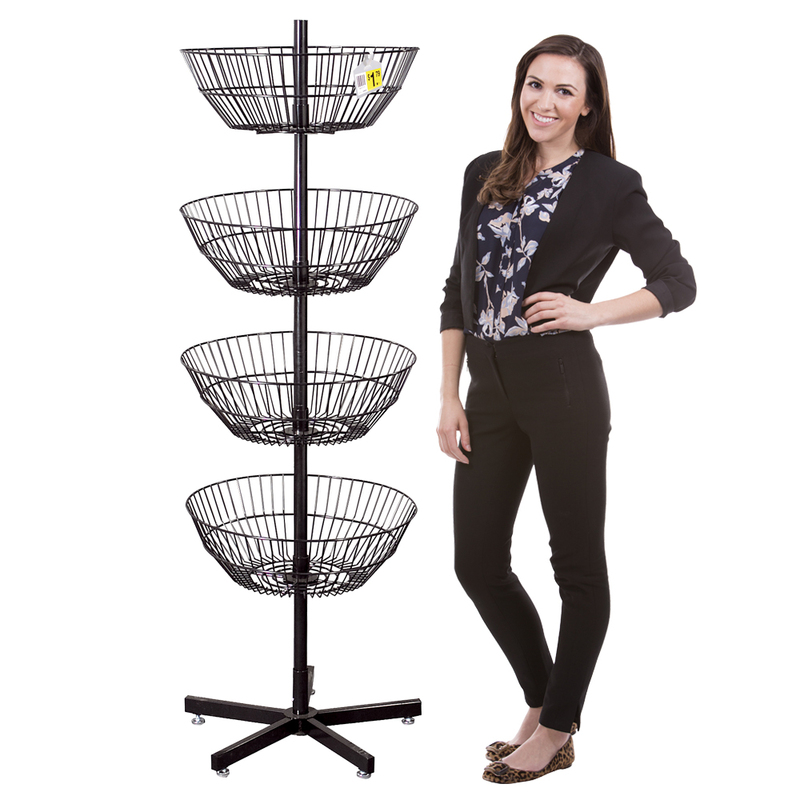 This unique 4 basket spinner display has great optimal visibility. Each tapered bin spins independently. Baskets are 22 in. diameter and 7 in. deep.